Hi friends! July 4th is right around the corner. We are always away for an annual glamping trip so I am literally decorating for the holiday out in the woods, which is actually a lot of fun. 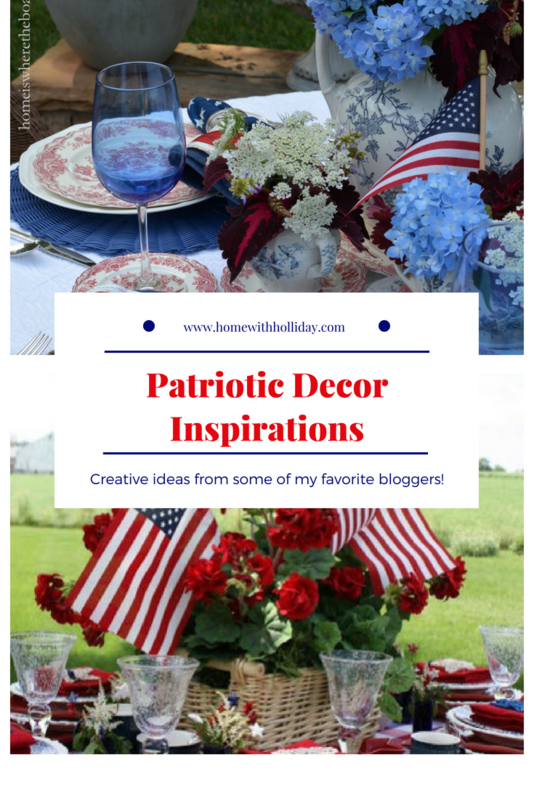 Today, I have compiled a great group of patriotic decor inspirations from some of my favorite bloggers. Whether you are celebrating July 4th, Memorial Day, or Flag Day, there are plenty of creative ideas here. Happy Friday friends! Welcome back to my Friday Favorites series. This week, I am featuring my favorite crystal drum chandeliers. 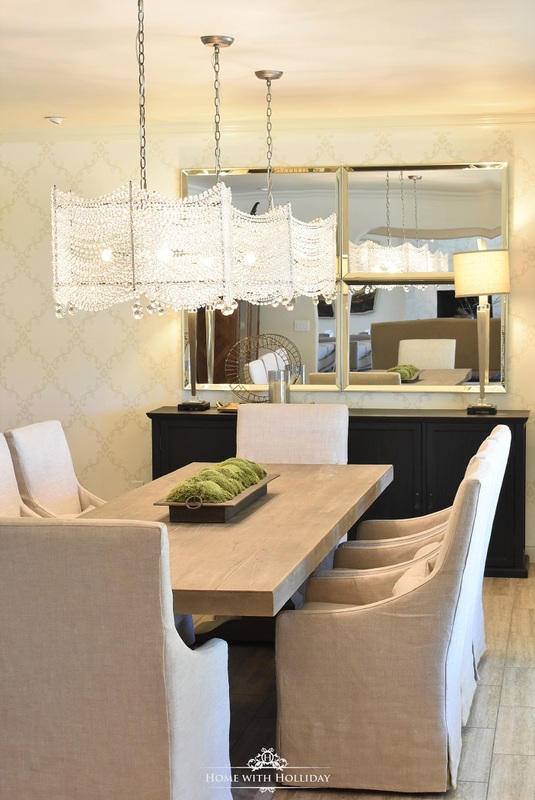 When we remodeled our dining room after we bought our home, I decided to think outside of the box with regard to how I was going to design the lighting. Our dining room sits on the front of our home, so I wanted to feature something dramatic as it would be seen from the street as neighbors and guest drive by. Happy Friday! As a part of my new Friday Favorites posts, I started a new series several weeks ago on my favorite coffee table books. 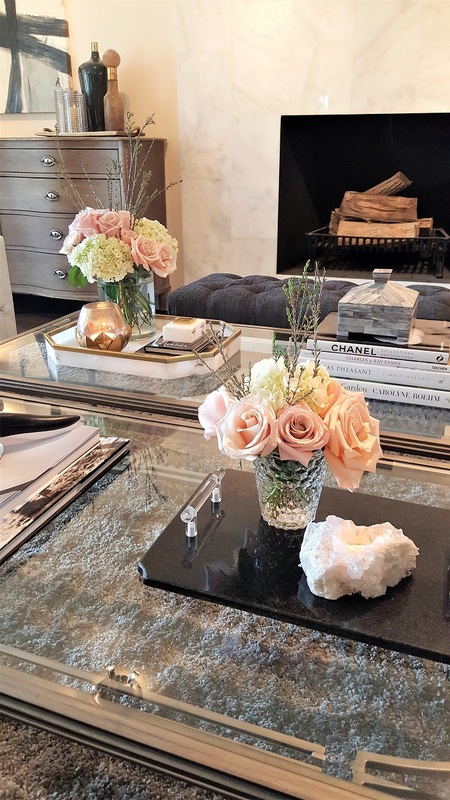 I have so many favorites that I decided to break them up into four of my top passions….home design, fashion design, entertaining and cooking, and books for the collector or enthusiast. If you are stopping by after last week’s post, welcome back! If you are new to this series, I hope you will enjoy it and stop back in. This week, I am sharing my favorite coffee table books that are great for collectors or enthusiasts on different subjects. For example, my husband and I are both fine watch collectors, we have a passion for cars and I am obsessed with horses and flowers, to name a few. Seeing some of my selections might give a tiny bit of insight into our interests, but also might give you some ideas for updating your own coffee table book collection.